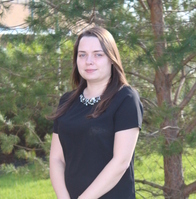 Having had experience working in a high street bank where customer service was the main focus, Rebecca joins the Vision team in Falmouth utilising her skills in the Finance and Accounting department. Rebecca has her degree in Accounting and Finance which coupled with her great customer service manner makes her a compliment to the existing team when it comes to attention to detail and an organised approach. In her spare time Rebecca enjoys swimming and cooking up a feast!